You might remember Tom Pellereau with his amazing Stylfile™ S-shaped nail file range which makes filing easier , well he has now tackled another beauty problem - keeping your brushes spotless - something we all forget and such an important part of our beauty routine. The amazing StylPro Makeup Brush Cleaner and Dryer is a revolutionary device proven to clean AND dry makeup brushes in seconds. This latest invention from Apprentice winner Tom Pellereau, uses centrifugal spin technology so that brushes are literally ready to re-use immediately. Get the most out of your makeup brushes with no more messy basins or waiting hours for them to dry. 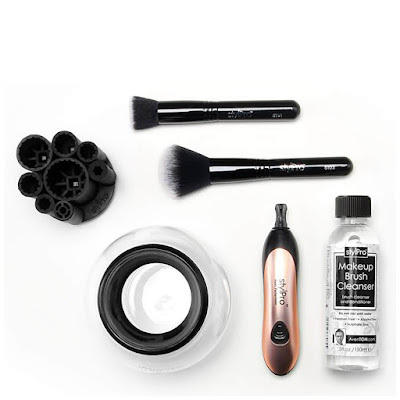 Perfect for makeup artists or anyone with a big brush collection, the revolutionary brush cleaning device will save you time and effort. 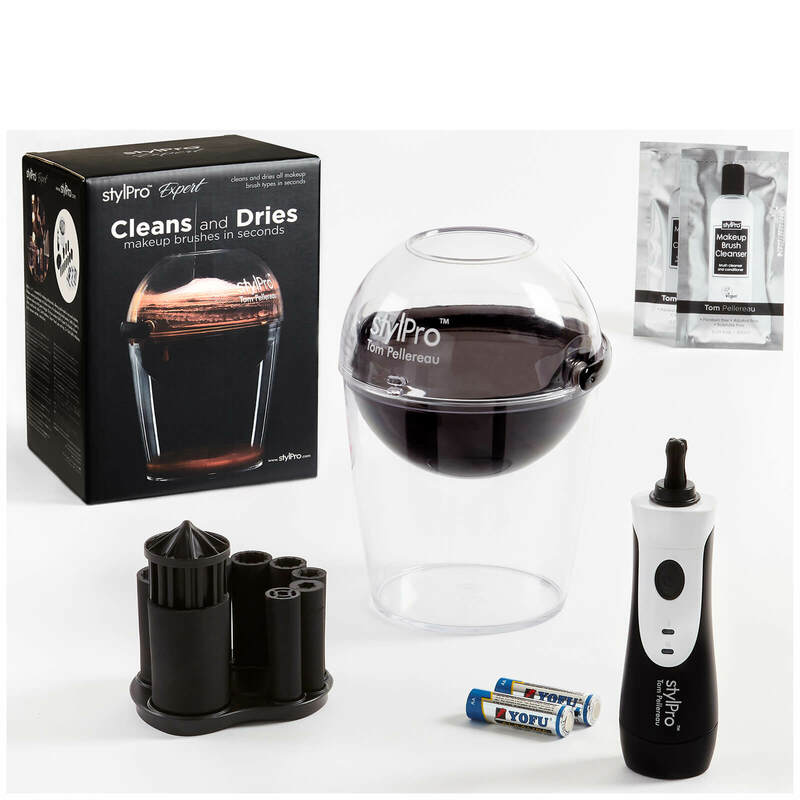 StylPro Expert is a professional version of the StylPro Original and has been upgraded with several new features including: two speeds (use the slower speed for natural fibre brushes and the quicker speed for synthetic), built-in timer and easy to use tipping bowl to empty out dirty solution. 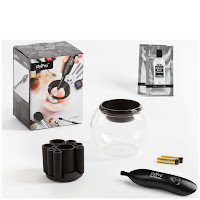 It also comes with a multi-brush collar which allows eight small brushes to be cleaned at once, and new universal star shaped collars to fit an array of different brush sizes. Take the chore out of cleaning your makeup brushes with the StylPro Limited Makeup Brush Cleaner and Dryer Gift Set, a revolutionary brush cleaning device that cleans and dries your makeup brushes in 30 seconds. 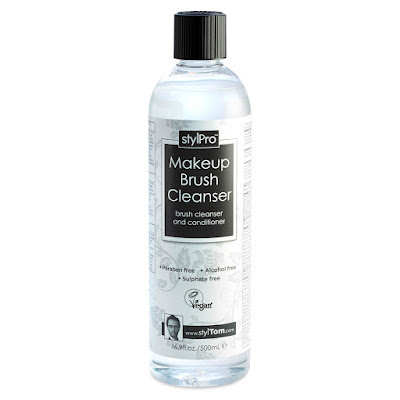 Clean your brushes like never before with the StylPro Make Up Brush Cleansing Solution; a deep cleaning brush cleanser that expertly eliminates oil-based makeup while conditioning to leave bristles feeling silky soft. Free from alcohol, parabens and sulphates, and registered by the Vegan Society, the nourishing brush cleanser works in synergy with the StylPro Makeup Cleaner and Dryer (on both natural and synthetic brushes) to hygienically clean and condition bristles in 30 seconds. Perfect for removing the thickest, most stubborn oil-based cosmetics, the effective cleanser cuts through lingering makeup to leave brushes sparkling clean and ready to reuse in seconds.